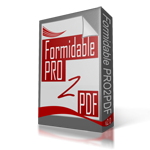 I have a license for PDF2PRO and can not sign in or create a new account on your support forum. I tried the forgotten password procedure, but I do not receive anything. I need some support quite urgently, please. Our apologies for the issues you are having with the login process. Your password has been manually reset and the temporary credentials were sent to the email address on the account.